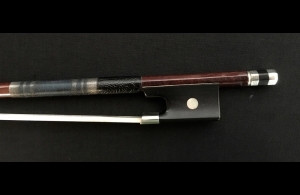 Description: Born in Mirecourt, France in 1822 to a family of violin and bow makers, Nicolas Maline became one of the prominent bow makers of the nineteenth century. It is likely that he served his apprenticeship under his father before working for J.B. Vuillaume 1840. In 1849, Maline was awarded the Chevalier de la Legion d’Honeur for his service in the voltigeur. Till his death in 1877, Nicolas Maline continued to craft bows, even assisted by his son for a period of time. 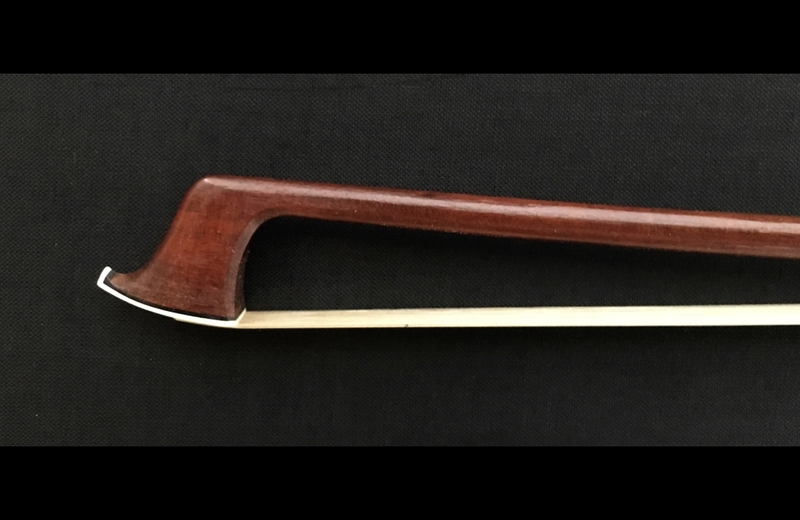 This particular bow possesses a round stick made of beautiful pernambuco of fine quality. Nickel mounted with mother-of-pearl inlaid into the frog. Certified by Paul Childs. Weight: 60.1g.